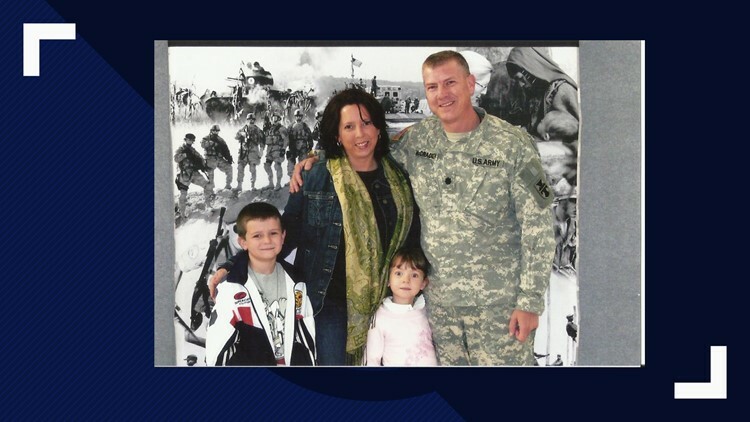 65,000 surviving military spouses are fighting for a VA benefit they say they are entitled to. ARNOLD, Md. — They greet each other like old friends, but the loss of their loved one brings Kathy Thorp and Kristy DiDomenico together for the first time. "My husband is Capt. Owen Thorp. He was in the U.S. Navy," Thorp said. "My husband was in the Army. His name is Jason DiDomenico," DiDomenico said. They are now members of special group of military spouses. "I love the quote from Abraham Lincoln where he said that, 'We're, as a nation, to take care of our wounded and also our widows,'" Thorp said. "There is the oath to leave no man behind on the battlefield. But as soon as that happened, our family was left behind," DiDomenico said. The women are two widows who feel left behind by lawmakers on Capitol Hill after the deaths of their husbands. "The VA determined that I'm eligible for this benefit called DIC (Dependency and Indemnity Compensation)," Thorp said. DIC is a monthly $1,300 tax-free benefit paid to survivors of service members who die in the line of duty, or if their death is due to a service-related injury or disease. 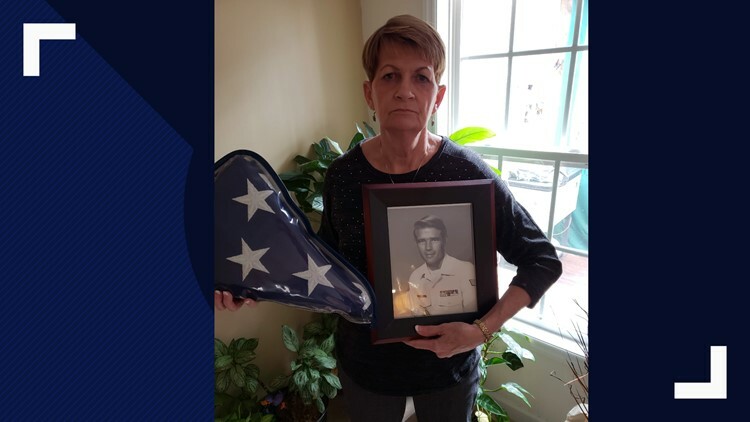 But Thorp and DiDomenico and the 65,000 other survivors of military spouses say they didn't know, "that $1,300, which I was to get every month, is now subtracted from this Survivor Benefit Pension," Thorp said. The Survivor Benefit Pension, which is an annuity military members pay into with their own money. Spouses, like Thorp and DiDomenico, thought they would receive a combined monthly payment of that annuity and the DIC benefit. However, in 1972, Congress passed a law that mandates the deduction of that $1,300 VA death compensation from a surviving spouse's monthly benefits. This costs survivors about $12,000 a year, according to the Military Officers Association of America. "This is not welfare! This is an earned benefit," DiDomenico said. "It's two different pockets of money and I don't see why we have to be penalized and not get those benefits," Thorp said. When asked by WUSA anchor Annie Yu if she were aware of the situation, Thorp said, "No, I was not aware." DiDomenico said she received a binder from the casualty officer assisting her through the burial of her husband. She said she did not learn about the DIC deduction until after her husband died. The mother of two said she did receive counseling. But believes it wasn't enough to help her understand how that would impact her survivor benefits. Thorp agrees. Thorp held up both the SBP and the DIC documents issued to widows and widowers by the military. "This is not an official form. There's nothing down here. If it's from the Army, there's nothing down here, like this one. If you look at this one from the VA, there's a VA number and, in that way, it's official. I see this piece of paper, there's nothing official. And, if you can compare the two of them, this is official, this is just a piece of paper to say that you were counseled," Thorp said. That's why military survivors are lobbying Congress to repeal the bill they passed nearly five decades ago and give back the $1,300 a month. They mobilized a social media contingent of military widows across the United States, stormed Capitol Hill and mailed letters to their senators and congressional representatives. It's been a 20-year effort. "We spend a lot of our time asking them to cosign. 'Oh, yes. We will. We Will.' And then, it comes up for a vote and they don't vote. If they say they're going to support the veterans and their families, this is part of it. Don't say, ''We support the veterans,' and then don't, you know, not show up for the signature," Thorp said. "Congress needs to its job," Rep. Anthony Brown, D-Md. The Maryland congressman knows first hand the sacrifice to serve our country. Brown is a retired colonel with 30 years of active and reserve service. As vice chair of the House Armed Services Committee, Brown is passionate about changing this inequity. "We always say, 'We owe a debt that we'll never, ever be able to fully repay.' But, we ought to be paying their spouses and not undercutting their benefits by not fixing this problem," Brown said. In the meantime, widows from across America plan to hit the Capitol Hill again in the spring to pressure Congress to do the right thing for the soldiers, sailors, Marines and airmen who served their country with honor and dignity. "When you storm Capitol Hill, what's the message that you tell your lawmakers?" Yu asked. "If they can't take care of our veterans to stop creating them," DiDomenico said. Check here to find out how you can help military surviving spouses.